After 13 months of research and development, they're here! 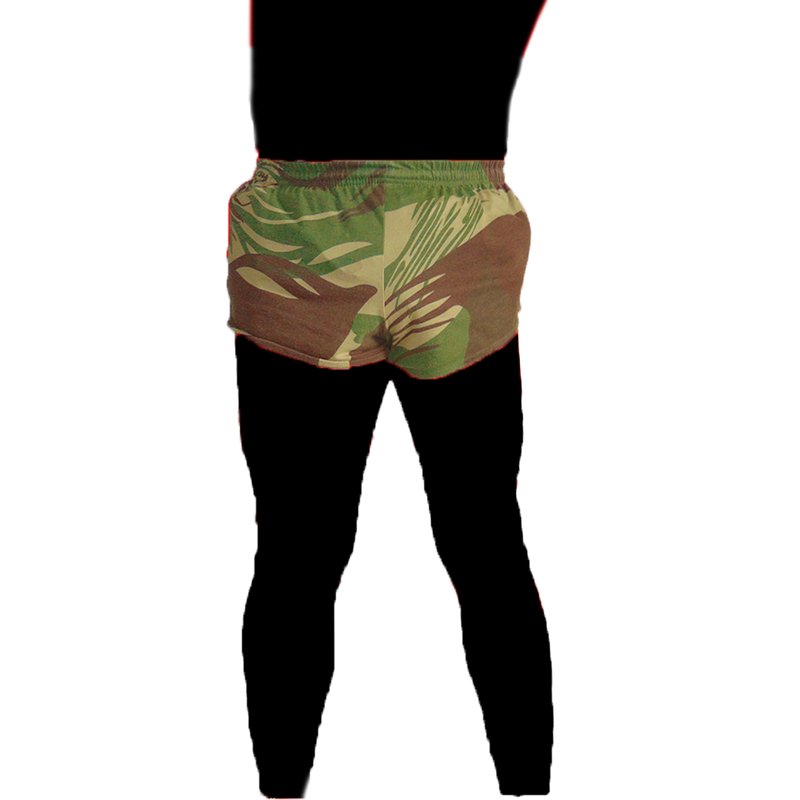 Fireforce Ventures is proud to carry the legendary short-shorts that defined the Rhodesian Security Forces. 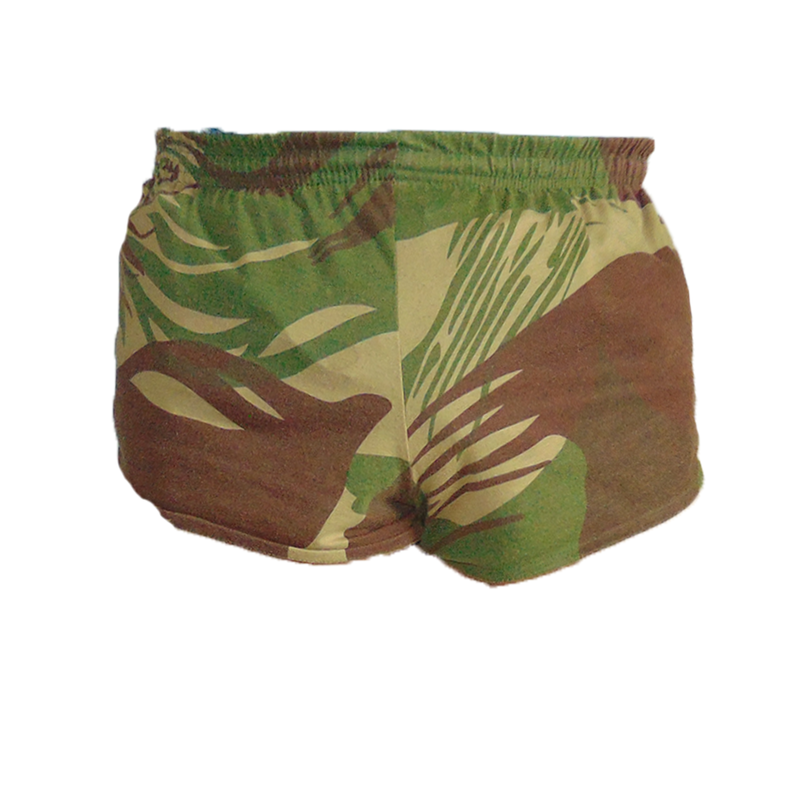 The short-shorts feature and comfortable 75% polyester-25% cotton construction, two reinforced hand pockets, and a buttoned arse pocket on the right cheek! For additional retention and "anti-gangster sag", we've also stitched in a low profile internal drawstring to adjust the waistband allowing some pretty decent sizing flexibility. Definitely an upgrade to your standard pair of skivvies, making it ideal for your early morning PT sessions or a night on the town! 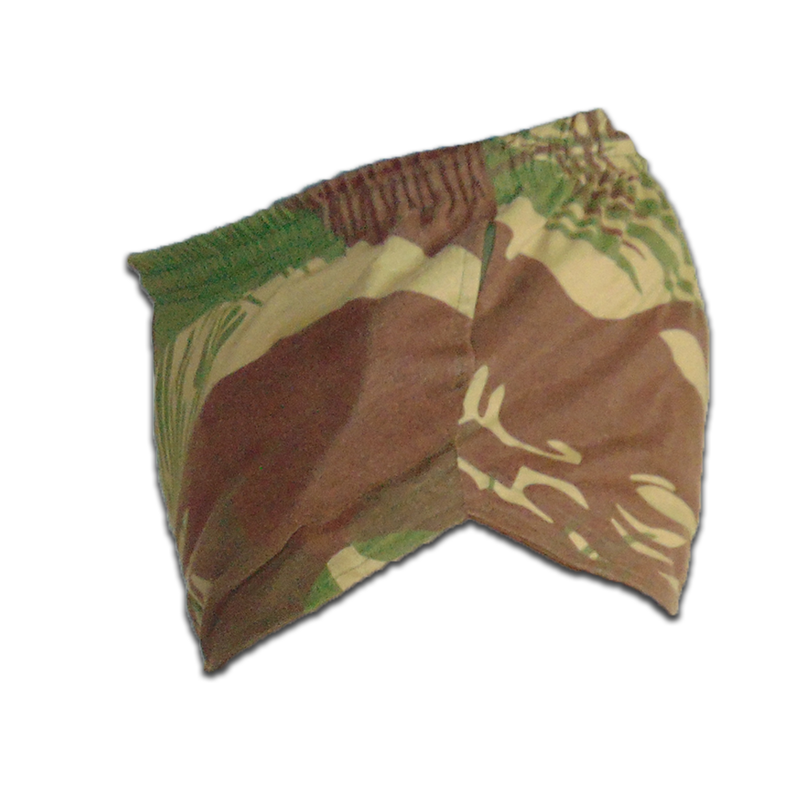 The Rhodesian Brushstroke pattern is legendary, from it's inception during the Rhodesian Bush War, to later service throughout Africa, a variant to this day remains the standard camo of the Zimbabwean Army. At one point, the pattern was noted as being so effective that it was in contention to replace the M83 Woodland pattern for the United States Marine Corps. We're proud to be one of the few places to be selling this faithful reproduction! All prices are in Canadian Dollars (CAD). We ship internationally! Click here to learn more about this famous camo pattern! These shorts really do the trick for keepin cool in the Carolina heat, I find I wear them all the time while doin yard work at the house, super job on the detail too, definitely will return again, thanks Mike and Fire Force crew! So I got these shorts about two weeks ago and at first I was a bit disappointed because one of the pockets was hanging off of the shorts almost completely unattached. I tried to save it but ended up having to cut my loses and cut it off and sew up the actually hole where it was attached but I will say that these shorts are the most comfortable pair I own, even more so then my silkies. Super light, soft and well made, they are my favorite shorts to wear during PT sessions in the morning or when I go to the gym. 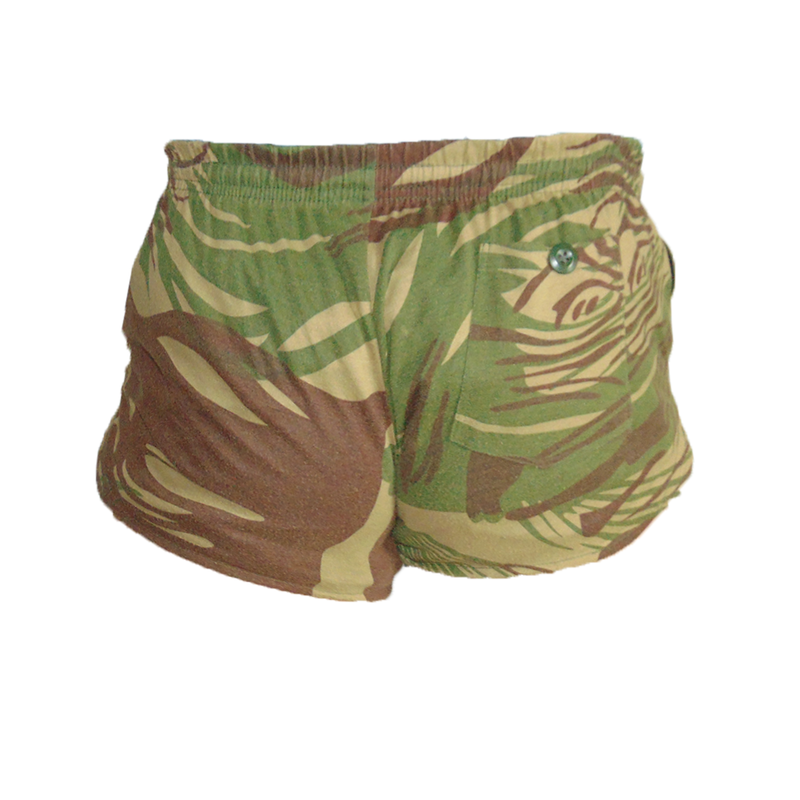 Would highly recommend these shorts to anyone who has a thing for Rhodesian militaria. These are outstanding! if you're heading to the beach and you're not wearing a pair of these then you're missing out! very comfortable fit and true to size. obviously a great pattern and well made!